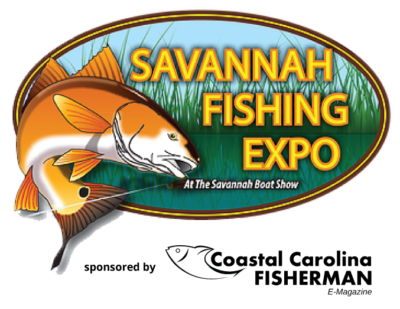 The Savannah Fishing Expo will feature captains speaking about everything from understanding sonar to techniques and tips. All seminars located in meeting rooms located behind the escalator in the River Concourse lobby. Captain Eris Jones is a lifelong North Carolina native. A few years ago Eris left his career as an E.M.T. and plunged head first into his fishing career. In 2015 he won the SKA National Championship. Today he is one the most well know and seminar speakers in the Carolinas and operates “Backlash Fishing Charters” from Sneads Ferry, NC while competing on multiple Kingfishing circuits. Tim has been involved in the fishing industry for over 20 years. 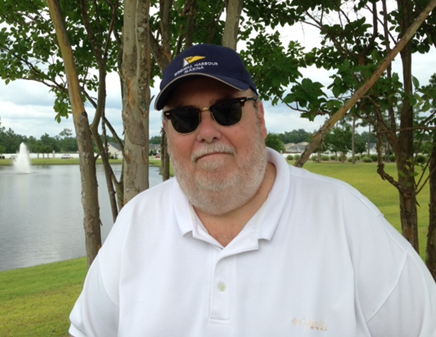 He has served as the regional editor of Sportfishing Report Magazine and as a feature writer for Boating World Magazine. 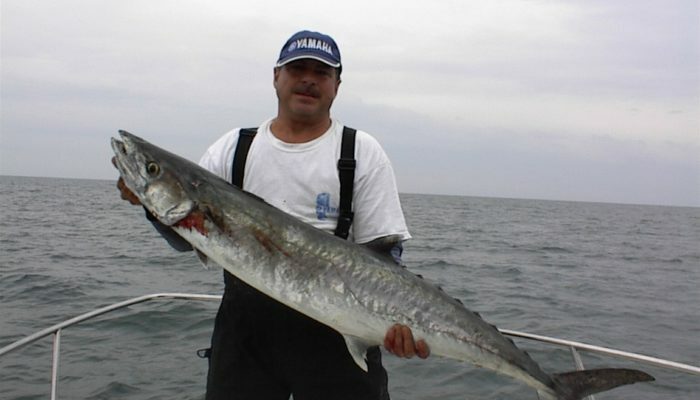 At the same time, he also worked as a light tackle fishing guide in the Carolina and Wrightsville Beach areas. Today, he serves as the publisher of Coastal Carolina Fisherman e-Magazine. An online publication that covers saltwater fishing on the Carolina Coast. 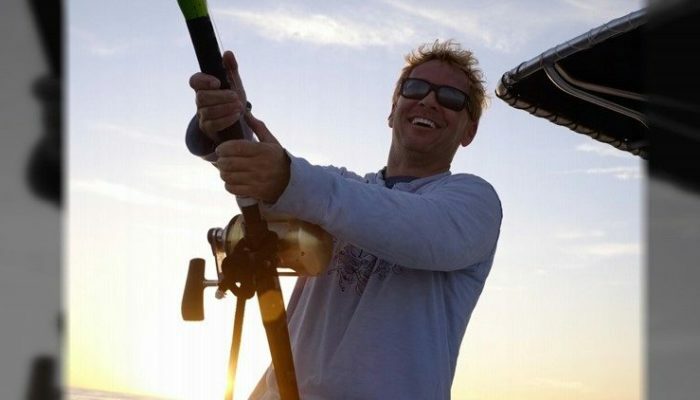 Chip has become known for his expertise in the pursuit and catching of Great White Sharks off the South Carolina Georgia coast. He is also a strong advocate in the preservation of the Great White. His extensive knowledge of this dangerous predator makes him one of the most respected sources of information. He will be speaking on the feeding and migration habits of the Great White. 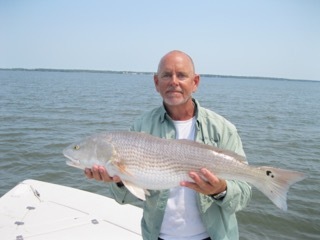 Jack is a lifelong resident of Savannah and has fished the nearby waters all of his life. He and his Coastal River Charters are both iconic names in the saltwater fishing community in North Georgia. 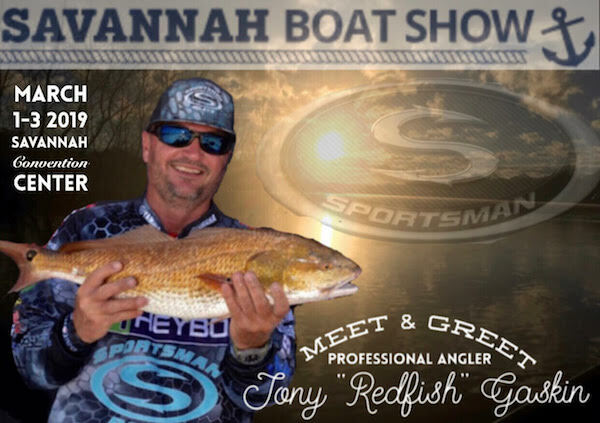 He’s a frequent speaker at are fishing seminars and especially the Savannah Boat Show. His “back to basics” approach is popular among seminar guest. Attention all Scallywags and Wenches (and all those in between)! Captain Jack and his ladies will be setting their course for the Savannah Boat Show on March 3rd and 4th! 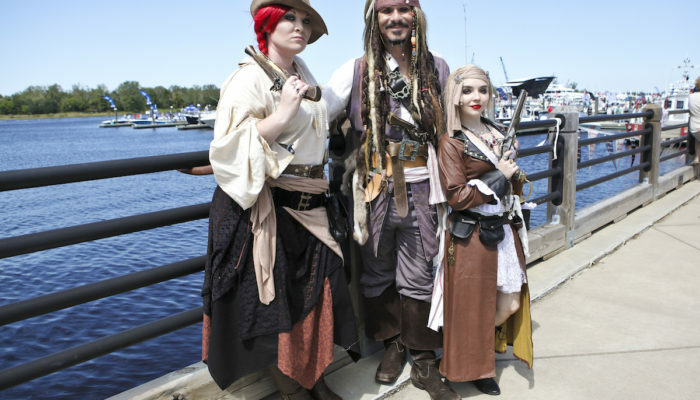 Come out and see Captain Jack Sparrow, Anne Bonny, and Mary Read as they make Savannah their port for the weekend! Hold on to your wallets, hide the rum, and keep your wenches close as you take pictures with Captain Jack and his crew. There will be lots of pillaging, plundering, and perhaps a hijacking or two! Mark your calendars and set sail for the Savannah Boat Show! See you there, mates! Donnie Osborne is a cosplayer and Captain Jack Sparrow impersonator. He has been entertaining folks as Captain Jack for more than 10 years. 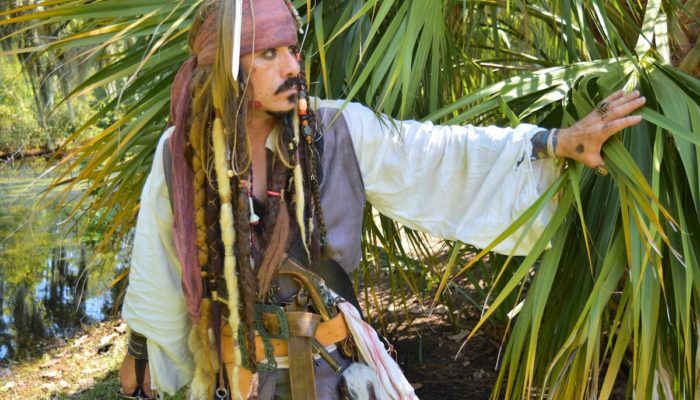 He has made a guest appearance at The Caribbean Beach Resort at Walt Disney World as Captain Jack, met several of the Pirates of the Caribbean cast members, including Johnny Depp himself. Before becoming Captain Jack, Donnie was in the Air Force and later in Law Enforcement. Being a disabled veteran, he turned to cosplay and creating art as a way to spend his free time. It’s a pirates life for him! Wherever you can find them! The Chuck Courtenay Band is quickly becoming one of Savannah and the Southeast’s best Country Bands. 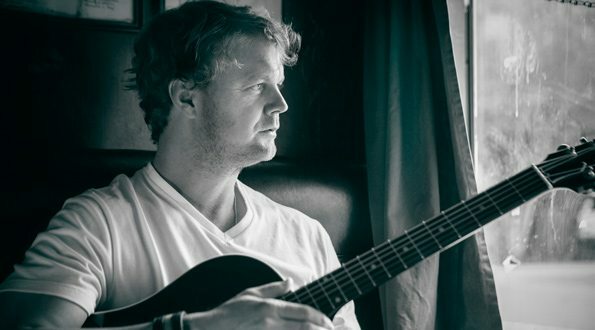 The lead man, Chuck Courtenay has been in the spotlight for many years as half of the popular “Courtenay Brothers Band”, and now has a front and center approach to playing hits that everyone knows and loves as well as his originals. They play songs from the late greats such as Waylon Jennings and Johnny Cash as well as today’s leading country chart toppers. 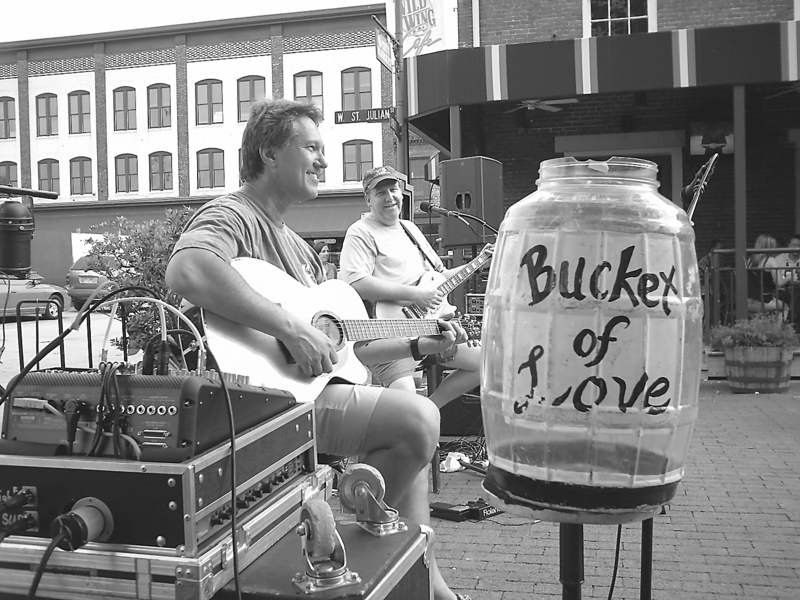 They are a well-known local cover band that has no limits, and are currently one of Savannah’s favorites. 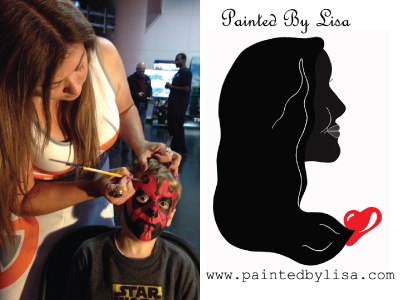 Lisa McCann will be creating fabulous face paintings and glitter tattoos for the kids. In addition, create your own painted rocks and seashells with a rainbow of colors! HOW TO BE A PIRATE WITH CAPTAIN JACK AND CREW! Come join Captain Jack and his crew for an interactive tutorial on things you should know and do to be a pirate!, followed by a “Find the Captain” Scavenger Hunt. 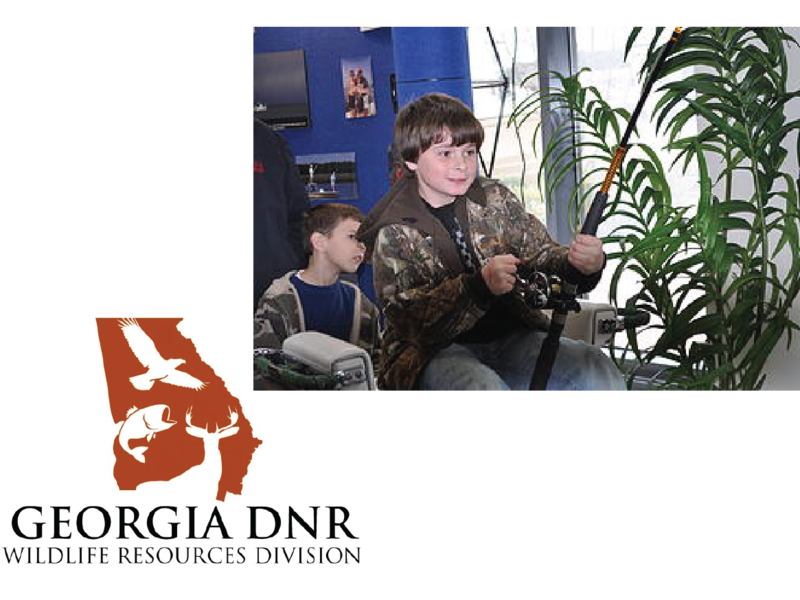 Kids get their chance to catch “the big one” with Georgia Department of Natural Resources Fishing Simulator. 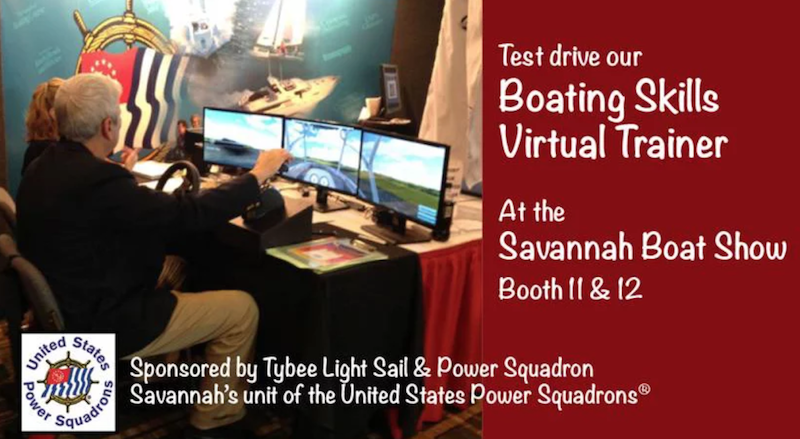 Come test drive the virtual skills boating trainer, sponsored by Tybee Light Sail and Power Squadron. 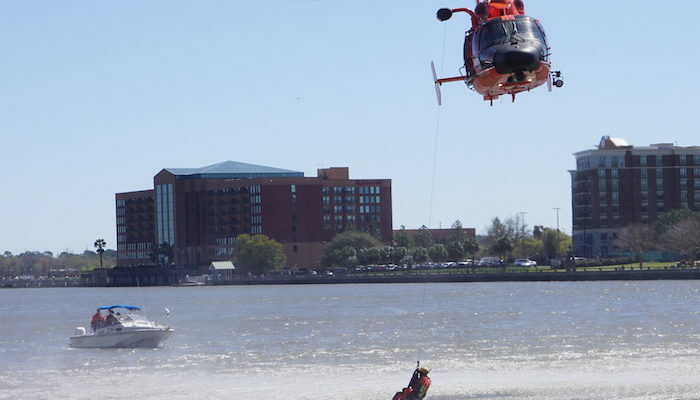 A demo from the Search and Rescue Team.